Other Products by International Protein. Search other Creatine products. International Protein Kre-Alkalyn helps you meet your energy requirement. Creatine is one of the most important energy providers of the muscle tissue. As soon as creatine reaches your muscle cells it gets converted into creatine phosphate by the addition of a phosphate group. This phosphate group is then used up in the creation of high energy ATP molecules known as ‘energy cells’ of your body. Research shows that creatine gets converted into creatinine at low pH level. Creatinine disrupts the formation of ATP molecules and prevents your muscles from availing the benefits of creatine. When the pH level is higher, creatine tends to be stable. Kre-Alkalyn is the only creatine product with a pH higher than 12. The creatine molecules are manufactured using a patented process where they are synthesised with buffering agents. This process ensures creatine molecules have a high pH and are able to reach muscles in stable form. International Protein Kre-Alkalyn prevents muscle loss and breakdown. It provides pH correct (pH above 12) creatine monohydrate. 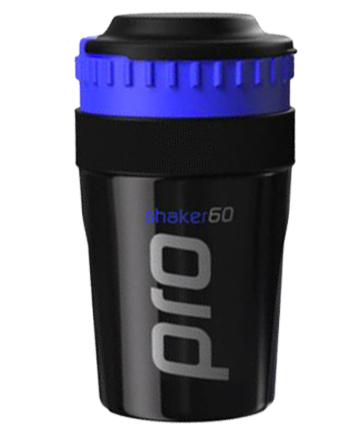 This helps your muscles absorb more creatine and increases your power and stamina during intense workouts. Kre-Alkalyn prevents bloating and painful cramps post-exercise. Mix 3g of International Protein Kre-Alkalyn into 200ml (6.7oz) of water or a protein shake and consume immediately. Ideally should be had 30-60 minutes before workout, or immediately after training, and once every day. International Protein Kre-Alkalyn is great for: Endurance athletes, and weight lifters and sportspersons requiring short bursts of energy like sprinters and rowers.